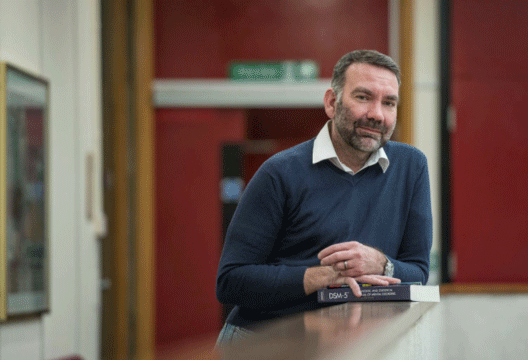 Dr Nick Maguire’s research profile on the University of Southampton website begins ‘My main research activity reflects my clinical interest in the mental health issues implicated in homelessness’. How can research underpin psychological practice in real-life areas? Nick offers compelling answers to this question and paints an exciting view of psychology’s future. Nick knew very early on that he wanted to qualify as a clinical psychologist, ‘though I had no idea how difficult it would be’. He worked in the NHS after graduating then applied for a clinical course. ‘Doing Sociology and Psychology A-levels at evening class made me realise there are many different ways of approaching a problem. That helped me hugely at university, where it was writ large that there was no one right way of approaching a psychological issue. I think that’s one of the strengths of our training – at an undergraduate level you’re taught to think critically and scientifically and later you’re made aware of meta-cognitive issues. Only a few other disciplines, such as sociology, do this.’ I’ve noticed that many employers of first degree psychologists in non-psychological jobs comment on this ability as one of newly graduated psychologists’ key skills. A great quote by Nick, from the nudge tradition, but extremely pertinent to most applied psychology and a useful way to present and discuss with clients, customers, stakeholders or end users. Also, a pleasant article to read and empathise with.